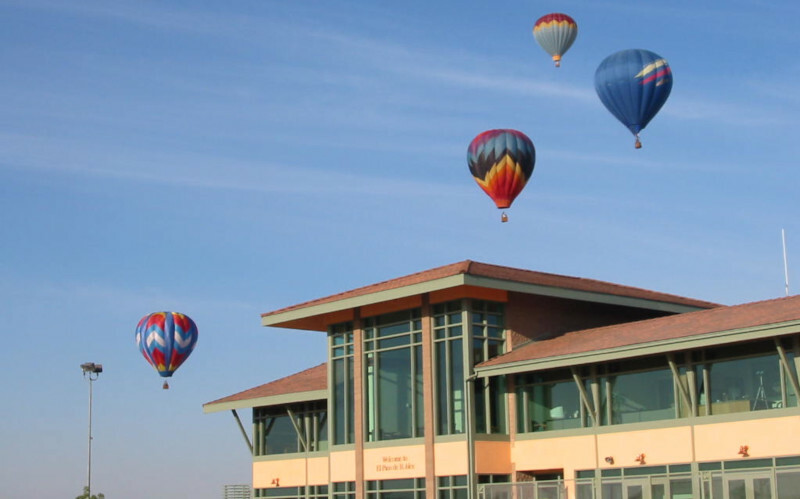 Business View Magazine interviews Roger Oxborrow, Manager of the Paso Robles Municipal Airport, as part of our series on U.S. regional airports. 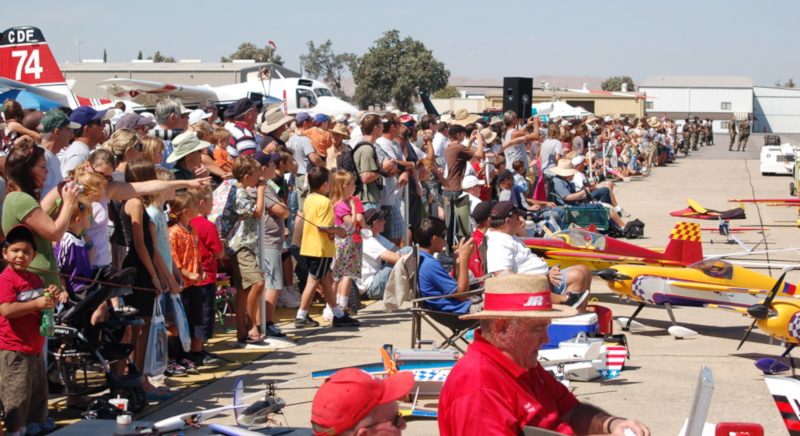 Paso Robles Municipal Airport is a public, general aviation airport, four miles northeast of downtown Paso Robles, in San Luis Obispo County, California. 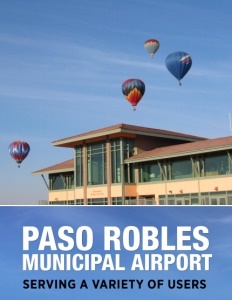 Recently, Business View Magazine spoke with Airport Manager, Roger Oxborrow, to find out about Paso Robles’ facilities, capabilities, and future plans. The following is an edited transcript of that conversation. BVM: Can you talk a bit about the history of the Airport? Oxborrow: “The Airport consists of 1,300 acres of what used to be a dry-land, barley farm out in the flat eastern part of Paso Robles. In 1943, the federal government bought up about five small ranches and combined them all to make up what became the Estrella Army Air Field. It served as an auxiliary field to support the pilot training activity at the Santa Maria AAF, about 60 miles to the south. “The military developed it, and a squadron of P-38s was based here for about six months. It was used, sporadically, until it was declared surplus in 1949, when it was deeded to the County of San Luis Obispo. The county held on to the property and did very little with it up until 1973, when it was decided that the facility was not financially viable. The City of Paso Robles agreed, at that point, to purchase the Airport from the county for a dollar. The city took it over and proceeded to develop it. “The first thing that the city did, after chopping the weeds in the middle of the runway and making the lights work was to look for ways to develop the infrastructure so that it could find some revenue support for the Airport; the intent was to build an industrial park. The industrial park was initiated after we successfully secured federal grant funding for infrastructure – sewer, water, power, and streets – into a small portion of the area around the terminal building. 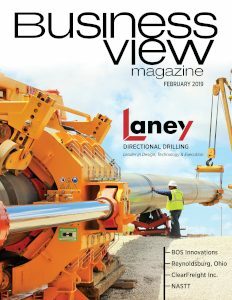 We leased this out, long-term, to various entities – non-aviation concerns in a couple of cases, but it didn’t matter; the revenue was what was important. And that revenue continues to sustain the Airport, today. BVM: Have things changed over the years in terms of your air traffic? BVM: So, the Airport is financially self-sufficient? Oxborrow: “We operate in the black; we do not take any subsidies from the city’s general fund. In a recent study, the consultant analyzed our financial situation and said, ‘Congratulations. You’re one of only five percent of airports of your size and capabilities in the country that do not require some kind of subsidy.’ Now, I qualify that by saying that’s our routine operational budget; we are very fortunate to continue to secure FAA grant funding for our capital improvements. We have almost 70 acres of asphalt on the Airport that is all in excellent condition. This is primarily the result of FAA grant funding that allows the routine maintenance and care of the asphalt and its associated equipment – lighting and so forth. BVM: Most airports we talk with have waiting lists for hangar space. What’s the situation at Paso Robles? Oxborrow: “We probably have a dozen inquiries right now that would take hangars if they could get them. What you have to do, though, in today’s market, is qualify that with the price that is being expected from the renter. We have two nice corporate hangars that have been recently appraised at $450,000, so the owner wants to rent them out and he’s looking for corporate jets to come in at a $2,000-2,500 per month rental. They’ve been available now for about three months – with no takers. And yet, 30 miles to the south, the County seat is San Luis Obispo, and I understand that there may be as many as 15 to 20 Citations that are sitting out on the ramp looking for hangar space. There’s an effort being made to attract them to come up here but it’s not happening yet. BVM: What’s your preferred method for building new hangars? Oxborrow: “At the present time, we have two parcels with infrastructure installed. The airport would prepare the site and the tenant would build the hangar after that. This project is still in the planning stages. We also have an existing tenant is contemplating building another 15 hangars that will cater to the smaller general aviation market. So, we continue to plan, but we are not into the development phase just yet. BVM: What about general airport maintenance or infrastructure improvements? Oxborrow: “We have worked through the FAA grant funding process for a number of years to try to fund an essential access road on one side of the field but have fallen short of the required priority rating procedure. This effort has also caused us to neglect some of our routine maintenance projects. We have recently elected to seek funding for the access road elsewhere and focus more directly on the specific needs of the aircraft operating areas. Our increase in traffic has resulted in an increased need for aircraft staging and parking in the terminal area. “It is not uncommon for a half-dozen corporate jets to need to park on the ramp, another dozen General Aviation aircraft to need parking for the day and then either military or firefighting aircraft to need space. 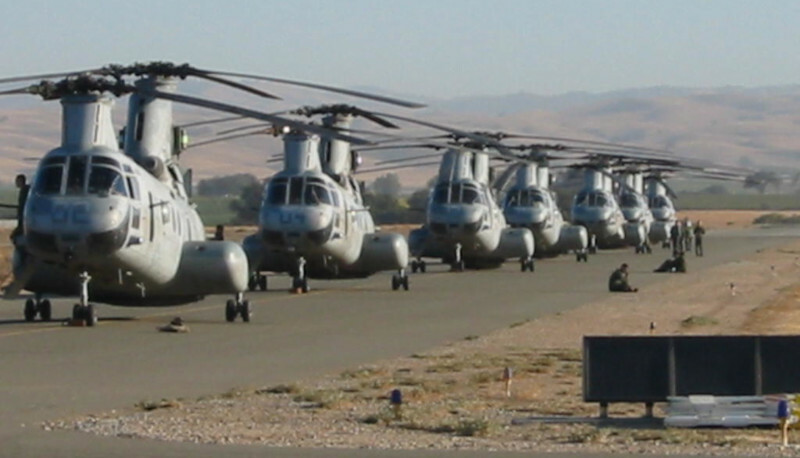 The large helicopters (and the occasional V-22 Osprey) require the most apron space. BVM: Any other projects or initiatives that you would want our readers to know about? Oxborrow: “We want to promote the Airport, so we’re trying to work in concert with the local business community, the City Council, the Airport Commission, and the Chamber of Commerce, to support the tourist trade, business development, and our local industry. We want people to know what tremendous potential we have here. “We also have some older, retired pilots who have taken it upon themselves to try and promote aviation to the younger generation of the area with their local Experimental Aircraft Association that hosts the Young Eagles program. We have others that recently started an aviation club at the local high schools; that have kids that are interested. They come out to the Airport on Saturday morning to look at airplanes, or they go to the museum located on the field – the Estrella Warbirds Museum. This museum has 30 or 40 airplanes that have been rebuilt and refurbished. There are no engines in them so they don’t fly, but when you walk by looking at them, you think you’ve got a real airplane there. This is great experience for the younger generation that might be interested in aviation, as well as visitors from around the country that drop in. “Those are some of the things we’re working on, at the moment. “In the background, I’m making sure that the runway is top-notch; the Airport facility, itself, operates; and that the services that we provide through the local FBO are all intact. Our FBO is ACI Jet Paso Robles and they’re doing a great job with the service elements that they provide. Check out this handpicked feature on The North Little Rock Municipal Airport – Serving GA and corporate flyers.